The 600-year-old Sarıhacılar Mosque located in the Akseki district of the southern Antalya province is gaining attention thanks to multiple historic artifacts and sites. Its most popular attractions currently are the monolithic mihrap, made by the turpentine tree, which has an acoustic experience brought about by a potted wall and an Ottoman flag gifted by Sultan Mehmed Reşad. Akseki, a commercial center during the Ottoman and Seljuk period, is one of the rare settlements that has preserved its historical structures up until today despite losing its historical importance over time. 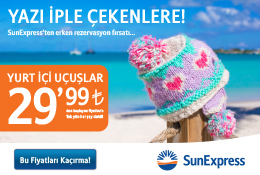 Although the town is 170 kilometers away from Antalya city center, Akseki was economically developed due to its safeguarded and easily accessible location on migration paths. Today, the town is known for its specific traditional houses. These traditional houses, which were built by Armenian, Greek and then Turkish builders hundreds of years ago, have stood for centuries thanks to the strong material used in their construction, namely the turpentine tree. The interior of the 600-year-old Sarıhacılar mosque, located in the town, takes people to a trip to the past. The mosque, with its monolithic turpentine tree mihrap, minbar, and dome, still stands strong without losing anything from its authenticity and also attracts visitors due to the works inside. On the walls of the mosque there is an Ottoman flag gifted by Sultan Mehmed Reşad in 1917, inscribed with his name. Also, there is a piece of the Kaaba covering and unique prayer rugs gifted by important figures in history. Speaking to reporters, Akseki district governor Muhammed Emin Nasır said that Sarıhacılar district dates back to the Roman Empire and it was put under protection in 2007. Nasır stated that the traditional houses in the region were restored with the support of the Antalya governorate. "We continue to keep the history of the area alive. Our mosque, with a 600-year history and unique interior architecture, attracts local and foreign tourists. We aim to convert this area into one of the most important tourism centers in the country with the projects we are going to embark on," he said. "The mosque is a unique work of art with indigenous architecture and valuable pieces inside. 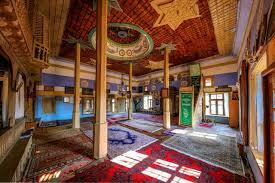 The place went through renovation and is now open to prayer," Nasır added. Muhammet Güzel, who has been the volunteering imam at the Sarıhacılar Mosque for 12 years, said he is a tour guide in the village and mosque. He not only recounts the history of the mosque but also answers question about Islam. "There is an Ottoman flag that was gifted by Sultan Reşad. It bears the sultan's signature and an inscription that reads, 'This is a gift for the Sarıhacılar Kariyei Mosque'," Güzel said. Güzel said that another important feature of the mosque is the pots that are installed inside the walls, making an acoustic environment inside. He added that thanks to this feature, all the conversations made at one corner of the mosque can be heard from everywhere and visitors are really surprised to see the system still works. He also added that Sarıhacılar districts attract tourists from all around Europe especially from Germany and France. "The village is an open-air museum itself. People who come here travel back 500 years and see the richness of the civilization," he said. Güzel said the lighting of the mosque was made with an elevated system in the 1800s where someone can adjust the height of the candles and gas lamps manually.